﻿We've received your inquiry about price and availability. If you do not see that email in your inbox, please check your junk, trash or spam folders. If this does happen, be sure to mark the messages as "not junk" or "not spam." 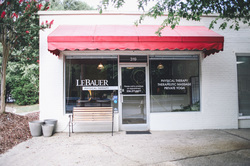 You should also add info@LeBauerPT.com to your contacts and let me know if you have any trouble finding this email we sent. If you still do not receive anything, please contact us and I will personally look in to it.